The 41st death anniversary of country’s first ever posthumous eye-donor ARM Inamul Haq will be observed on Sunday (Nov 11). He had donated his eye before three years of his death which were transplanted to Shahadat Chowdhury, editor of Saptahik 2000, and one Ramzan Ali, says a statement. 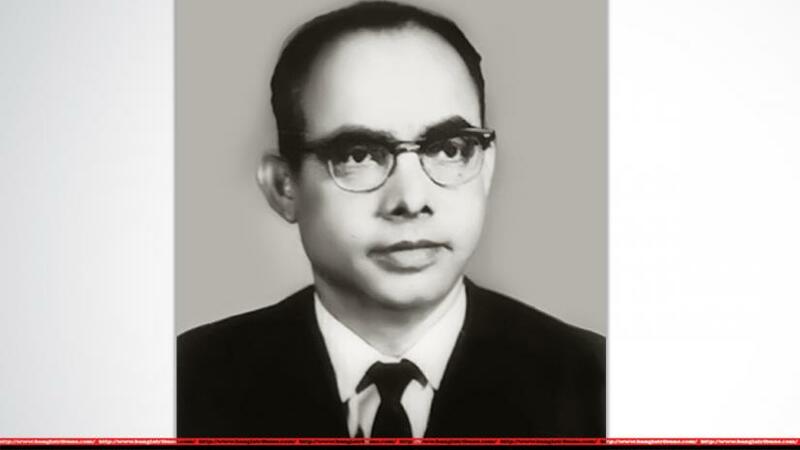 Born in Rajkhola area, Howrah district, West Bengal on Oct 1, 1921, Inamul Haq graduated from the Presidency College in Kolkata and Sibpur Engineering College. After the 1947 partition, he immigrated to erstwhile East Pakistan, now Bangladesh, and joined Ahsanullah Engineering College (now Bangladesh University of Engineering and Technology — BUET). He went on to hold positions as an Engineer with the government, to private Engineering firms (The Engineers), and later established his own (Dacca Consultants Ltd). But what he really firmly believed and lived for was his lifelong mission in education which he considered to be the seed and root of all development. He established “The Society for the Eradication of Illiteracy” in the 60s. He went on to establish The Dhanmandi Boys Club (now Sheikh Russel Club). He was a Founder member of the Diabetic Association and Geriatric Society. He was an active member of the Lions Club. Inamul Haq was deeply passionate in the upliftment of humankind in the three areas: Education, Food and Housing. He was a man of vision, of social change and believed in gender equality. He passed away on Nov 11, 1977 and left his legacy behind in his five children Ameenah Ahmed, Taheerah Haq, Ameerah Haq, Reza Haq and Ihsan Haq.